All businesses are now digital businesses. Granted, not all of them fully realise it yet. But in a world where customers can and will Google you, your competitors, your advocates, your critics, and anyone or anything else related to your business in a matter of seconds, from any device, at any time, from anywhere in the world — you are a digital business. In a world where those same customers can and will share the experiences they have with you, good or bad, at any touchpoint, with their social and professional networks online, echoing and reverberating for others to hear in their future considerations of you and your market — you are a digital business. Your business is a digital business, simply because the world in which you operate is now digital. Embracing this new reality is a challenge for most organisations. The longer a company has been around, the larger it is, the more difficult it can be to make the transition. Because engaging the digital customer requires not only changes to strategy and operations. It very often demands a change in culture to achieve the agility and transparency that the digital world expects. As CEOs in these organisations face this daunting transformation, a number are seeking a shortcut to digital mastery by creating a new C-level position: the chief digital officer (CDO). Reporting directly to the CEO, the CDO is given tremendous latitude to shape the new digital incarnation of the company. Essentially, their mission is to understand and connect with the digital customer. The CDO as a change agent is a tempting solution, and Gartner predicts that as many as 25 per cent of organisations will hire a CDO within the next two years. Consider your colleagues in IT down the hall. Dave Aron of Gartner called the hiring of a CDO a ‘vote of no confidence’ in the CIO — the C-suite doesn't believe that digital transformation will emerge from their IT department. But the hiring of a CDO is just as likely a vote of no confidence in the CMO. Because the technology aspects of this transformation are really just a means to an end. The real goal of digital transformation is to keep pace with the customer. Hiring a CDO seems to acknowledge that the core business's marketing department has failed to do that. After all, what is marketing's overarching mission, if not to understand and connect with customers, regardless of the medium? If the digital facets of that mission are annexed by a different C-level officer, where does that leave the CMO in an ever more digital world? In a position of shrinking influence and responsibility. However, if a CDO hasn't been hired yet, it's not too late. The first step is to accept that this digital transformation must happen. The next step is to stand up to lead it. Because crafting the experiences that customers will have with your firm across a myriad digital touchpoints is the quintessential mission of modern marketing. These experiences define your brand in the minds of your customers. And marketing has been — and should continue to be — the champion of the brand. To achieve this, it should be the CMO who hires the digital change agent — or multiple change agents — that will transform the company starting from within marketing. New roles under the CMO's leadership, such as a head of customer experience, a head of marketing technology, and a head of customer intelligence, can help remake marketing for the digital age. The CMO may not be a digital expert, but he or she can be the leader who orchestrates such experts to transform the business. CMOs should embrace digital leadership, not relinquish it. 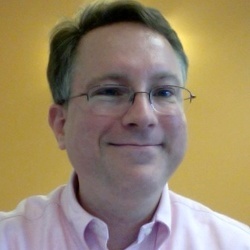 - Scott Brinker can be reached on Twitter: @chiefmartec.